Experience first-class care by our dentists in Leon – a city renowned for its customer service ethic. Its hotel and service industry is one of the most important in Mexico, giving rise to a wealth of recreational and leisure activities to make your stay more than enjoyable. The city is a colonial town rich with history and culture, but it is also forward-thinking and modern with numerous mentions in the world’s media as one of the cities of the future. It has an enviable transport system and is making great strides on sustainability using renewable energies. Leon has been known as the ‘Shoe Capital of the World’ because of its large production of leather goods, particularly shoes, distributed not just nationally but internationally too. There’s no doubt its strategic location in the center of the country has helped the city’s industrial and economic growth, with transport links extending across Mexico. This has fuelled Leon’s development with business amenities such as convention centers, hotels, restaurants and shopping centers adding to the buzz of this lively city. Leon is also a great base to explore the rest of the state. 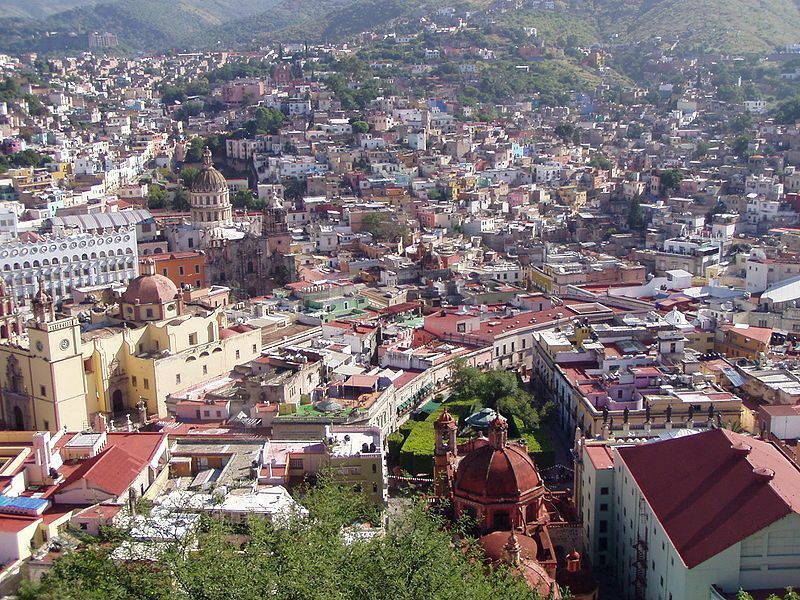 The state of Guanajuato s historically significant in Mexico’s war of independence, with several of the insurgent army’s stop-off towns’ now popular tourist attractions in their own right. One of the other notable historic attractions are the silver mines, which brought great wealth to the area, the results of which can still be seen in some of the huge colonial mansions which are particularly prevalent in Guanajuato City – the state capital. The state capital is less than an hour’s drive away from Leon and is considered to be one of the most attractive in the whole of Mexico. Located in a pretty valley, its grand architecture, multi-colored houses, shaded plazas and cobbled streets provide a laidback feel and is definitely worth a trip if you are in the area. Leon is in the state of Guanajuato, which is in the center of Mexico. It is around an hour’s drive to the west from the state capital, the city of Guanajuato. 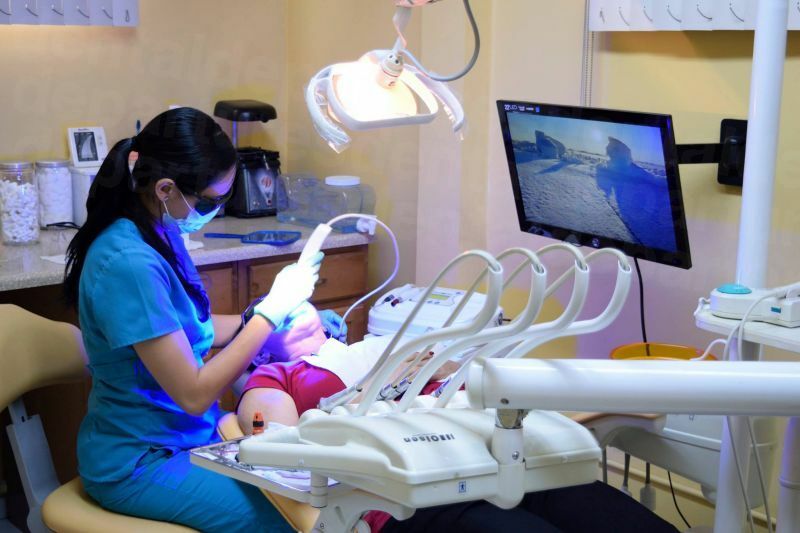 Why visit a dentist in Leon? Leon is a 21st century city with modern architecture and all the conveniences and amenities today’s travelers would expect to find. Traces of its historic past can be found throughout the city with its historic colonial center providing visitors with a meeting place filled with restaurants, bars, shops and other amenities to amble around at a leisurely pace. Leon has a fine selection of hotels – from brand new to historic. You can stay in a converted 16th century monastery, or there is a hotel that features a permanent collection of art from Picasso, Miro and Antonio Tapies. Yes. There are no US government travel advisory warnings against travel to Leon or the rest of the state so you can visit our dentists in Guanajuato safely. Undoubtedly you can get excellent quality dental care in Mexico, provided you find a reliable dentist. We appreciate this can be easier said than done, which is where Dental Departures comes in. Our website gives individual information regarding our dentists’ qualifications, high-resolution clinic photos, virtual video tours and real patient reviews that is available freely for everyone to see. Our patients can ‘look before they book’ and decide for themselves whether a particular dentist or clinic is suitable for them. Good and bad dentists exist everywhere in the world, but minimize your risks of finding a bad one by finding out as much as you can before you commit to an appointment. Yes – all our dentists offer warranties or guarantees on their work. Fortunately, it is an extremely rare event for anything to go wrong, but if it does your dentist will fix the problem free-of-charge. If you are worried about the expense of travelling back to your dentist, we have got together with some providers who offer insurance covering travel and accommodation costs that standard travel insurance does not cover. This will give you complete peace of mind that you won’t be out-of-pocket if the worst happens, which for a small fee is something worth considering. Leon is a cosmopolitan city and English is spoken widely. Our dental clinics all have English-speaking staff. It isn’t usual for your dentist in Mexico to be able to bill your insurance company at home directly. However, check with your provider to see if they allow ‘out-of-network’ expenses. If they do you’re in luck – and can have your costs reimbursed once you have returned home. Please ensure you receive the appropriate paperwork from your insurance company to bring with you to your dental appointment. The rainy season is between July and August. The warmest month is May, with an average temp of 89F (31C), and the coolest month is January at 45F (7C). It is generally pleasant most of the year with temperatures good for sight-seeing, although you may need warmer clothing for the night-time. Our dentists are open throughout the year, so whenever appeals to you is a good time to visit. Leon’s modern hotels, restaurants and shopping centers are wheelchair accessible, and you will find there are large parts of the city is to get around. However, you will find there are pockets where it is a little more difficult, but you will have no shortage of help from the locals who are friendly and courteous. Most of our dentists are wheelchair friendly, with many offering free hotel and airport pick-up services to get you to and from your dental appointments. Don’t hesitate to ask us about your requirements if you are concerned about getting around – we can always find a way. One of the fundamental differences for patients in Mexico is the method of pain relief. Local anesthetic is the main pain relief method here, rather than sedation dentistry. If you require sedation, many of our dentists are happy to arrange this, but it will need to be pre-booked as the services of an anesthesiologist are required. It will usually cost an additional $400-$600. Please note that anxiety medication, such as Valium, will also need to be pre-booked. What else is there in Leon? The Basilica Cathedral of Our Holy Mother of Light is the main church and is a combination of neoclassical and baroque architectural styles. It was begun in 1746 and completed in 1866. The Sanctuary of the Sacred Heart of Jesus temple was begun in 1920 and is still not finished, estimated to be around 90% complete. 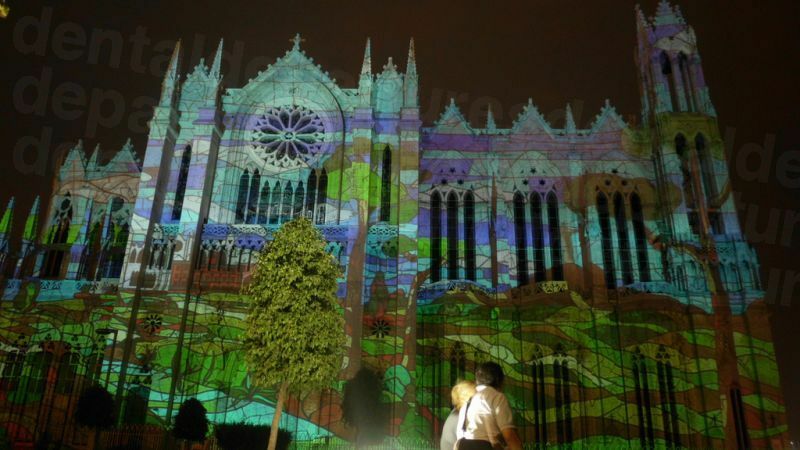 Based on old medieval European cathedrals it is neo Gothic in design but work was stopped during the Cristero Wars, and construction has been sporadic ever since. The Mandrake is a popular place to go for locals and tourists alike. Its Gaudiesque architectural style houses two bars on different floors – one a latino, salsa bar and the other with popular music from the 70’s onwards. There is also a stunning terrace where you can enjoy fine food and drinks while taking in extraordinary views of the city. 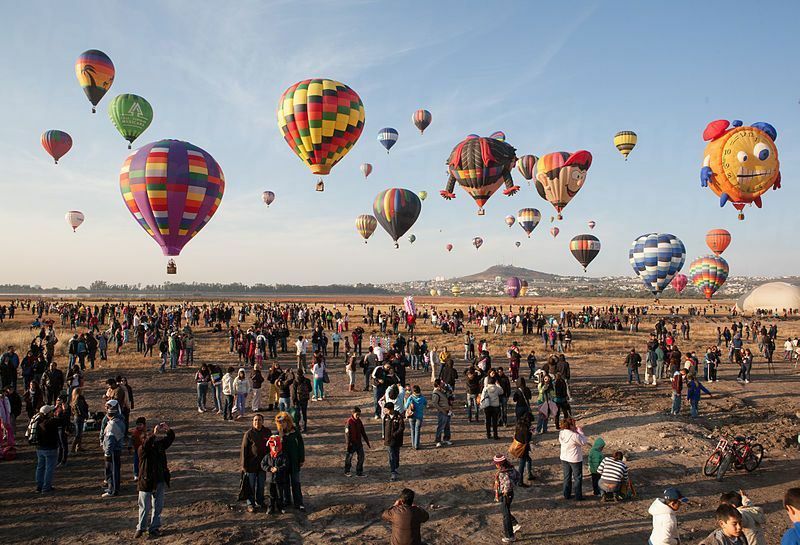 One of Leon’s most popular and famous attractions is the International Balloon Festival. More than 200 balloons from around 15 different countries take place in this event in November each year, providing a colorful spectacle as they launch upwards and drift across the sky. Industry, mining and crafts have been an important sector of the state economy, and you can visit mines and craft workshops across the state, and purchase items including silverware, hats, pottery and glassware. The three main cities for tourism in the state are the capital, Guanajuato, Dolores Hidalgo and San Miguel de Allende. The latter two are also Magical Towns, and all three played a role in Mexico’s history during the War of Independence. The capital and San Miguel are both recognized as UNESCO World Heritage Sites and both are exceedingly pretty and are definitely worth a visit if you have the time. Guanajuato International Airport at Silao is around 20 miles away from Leon with direct flights from six US cities, including Los Angeles, Chicago and Dallas. Otherwise Queretaro or Mexico City are the other nearest airports. It’s easy to make an appointment with one of our dentists in Leon. Book online, send us an email or call us on our toll-free number and speak with one of our Customer Care team. Our high-resolution photos, real patient reviews and other information should help you find your perfect dentist – at prices we guarantee to be the best.